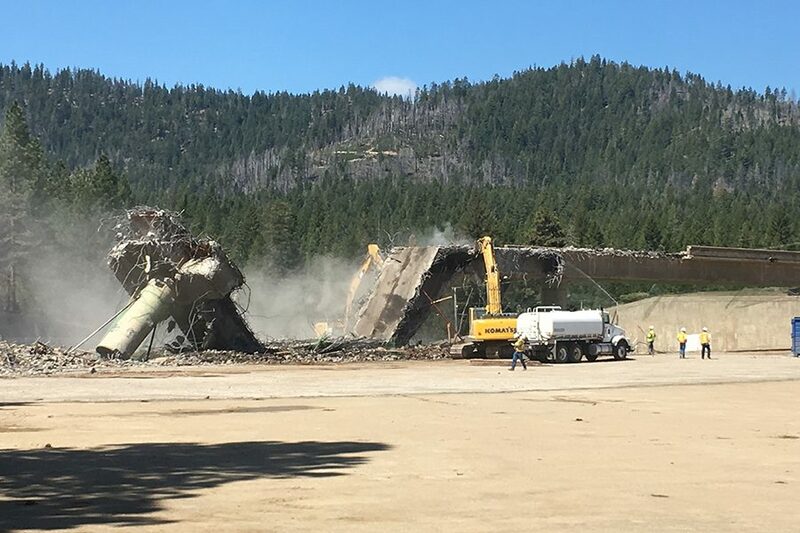 The demo is complete for the Caltrans Lake Almanor Spillway Bridge Replacement project! The bridge crosses the overflow spillway of the Lake Almanor Dam. The existing bridge is a conventionally reinforced concrete box girder bridge and the overall dimensions of the bridge structure is 467 feet long, 34 feet wide, and 25 feet tall. This is the first of three bridges Q&D currently has scheduled for demolition this year. Great job team!